As Mormon temples were the theme of discussion last week, I’m going to continue 7 Quick Takes this week with 7 Points About the Interior Life of Mormon Temples. Many thanks to Gale from the More Good Foundation for many of the pictures, as well as some information for me to pass on to you! 1 – They are the center of the Mormon spiritual life. As you’ll see reflected in these remaining points, Mormon temples are a large part of Mormon spirituality. Since there are so (relatively) few temples, it isn’t always possible to make it a regular part of their spiritual life. Temples were initially built where there were large populations of Mormons. This was frequently near wherever they were based at the time (since Mormons were persecuted and moved from state to state early on); now, they are taking into account how far the closest temples are to more remote pockets of Mormons. Despite the possibility of living very far from a temple – to the point where visits require substantial travel – they are still essential to Mormon spiritual life. Points 3 through 7 will explain why. 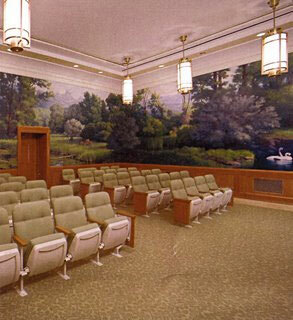 Mormons hold the events that take place within a temple to be sacred and kept from outsiders. Obviously, with the advent of the internet, this isn’t really possible. Probably the most relatable explanation I’ve heard is that Jesus taught in parables to make sure one was properly prepared in order to understand them. Likewise, it’s best for one to be properly prepared in order to experience temple events. Because of this, temples are dedicated upon their completion. Once dedicated, only those Mormons in good stand with the church and with a temple recommend may visit a temple. Although Mormons aren’t forbidden from discussing temple events with outsiders, it isn’t something they are encouraged to do either. Once inside the temple, temple-goers changes into temple garments. These garments are white and modest, signifying the person’s purity before God. Also, this reinforces all who are inside the temple to be seen as equals, eliminating distinctions based on clothing and appearance. The baptismal font available in most LDS Temples is probably my favorite part. It is used to baptize the dead (a common practice for converts to Mormonism). 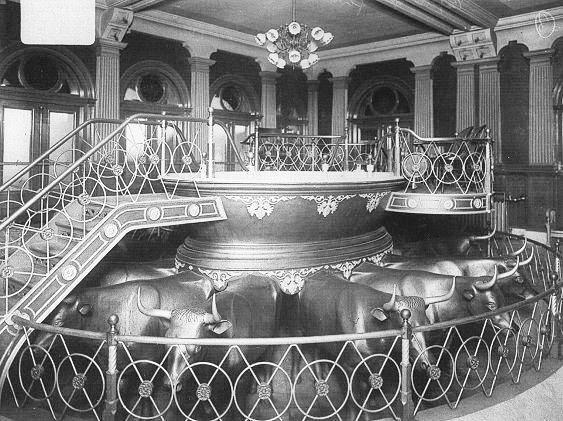 The font sits on the backs of 12 bulls, representing the 12 tribes of Israel, and also making reference to the “brasen sea sitting on twelve oxen” from the Temple of Solomon. You can see more baptismal fonts here. 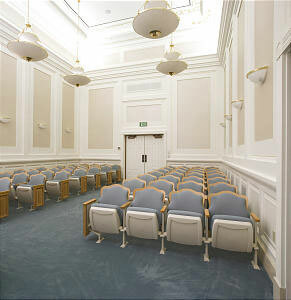 The Endowment Room is where endowments are performed, a type of ordinance (ritual) to prepare Mormons for the joys of the afterlife. This is where people are exposed to the Endowment Ceremony, designed to prepare participants for the afterlife and journeying to heaven. The Endowment Ceremony also involves a retelling of God’s plan of salvation through Jesus Christ. This is done through a live, scripted reenactment, although language barriers in some areas have created a move towards a movie shown that portrays the same script. You can see more Endowment Rooms here, and read more about the endowment here and here. Mormons interpret this as the power to seal relationships here on earth, allowing them to continue in the afterlife. This ability makes family life important, and is part of the reason why baptism for the dead is so important. The sealing room is where sealings take place, an ordinance that binds people together. This is typically done in the form of a marriage, sealing a husband and wife. Children born to a sealed couple are automatically sealed to them. Those born before they are sealed (or perhaps are adopted) are sealed at the temple. 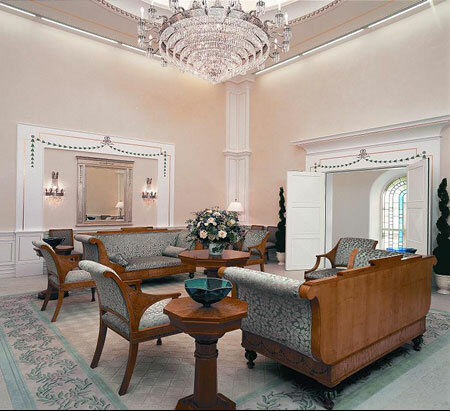 As you may recall from last week, only Mormons with a temple recommend may enter the temple, and this includes sealing/wedding ceremonies done in the temple. 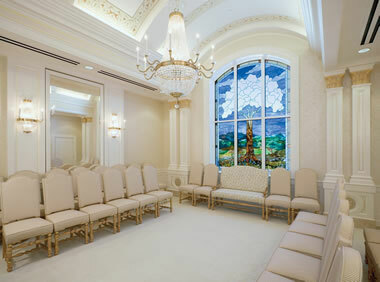 Some Mormons may hold a civil ceremony first, and then a sealing later (the sealing must be the last ceremony performed). This is more common in countries where a marriage is required to take place in a public venue. See more sealing rooms here. The Bride’s Room is for bride’s to get ready for the sealing ordinance, including cleansing themselves and doing hair and makeup. Temple matron’s are available to help the bride, similar to bridesmaids. You can see pictures of the Bride’s Room here. As can be gathered from some of the previous points, family is very important in the life of the LDS Church. The Celestial Room reflects that. Usually located at the highest point of the temple (one story temples have no high point), this room symbolizes the closeness one will have with God and family members alike in heaven. This room is usually brighter and more ornately decorated than the rest of the rooms in the temple. It is an ideal place for family members to gather and pray together. You can see more Celestial Rooms here. 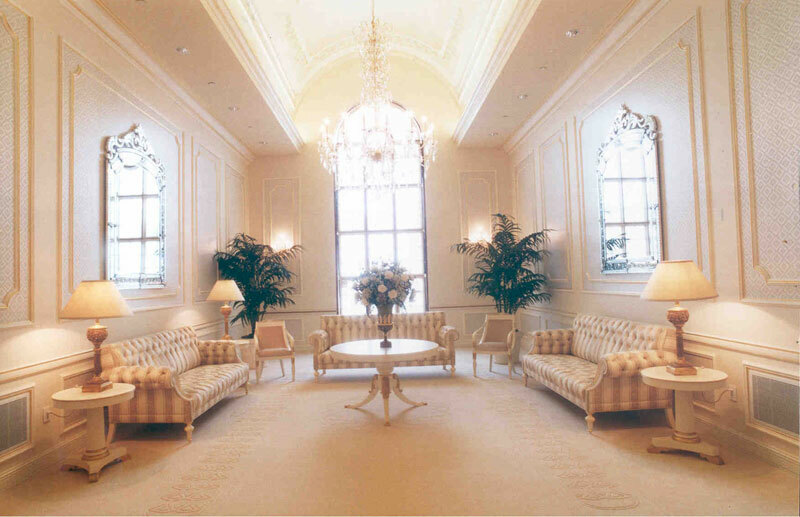 For more interesting facts about LDS Temples, check out here. Wow, this is fascinating. I’ve always wondered, thank you! Great posting, I noticed link from LDS site and decided to read. Since you were trying to be as accurate as possible, which I see very little of unfortunately, I have 2 small corrections. First, thank you very much for your wonderful article. 4- last sentence is inaccurate. ‘Initiating’ into church is called the confirmation. Its done at a church building. 7- Celestial Room is not always highest room in temple. Some are not two story temples. Frankie – Thanks so much for the corrections, I’ll change those points right away. Thank you Allie. I apologize for my lateness on the thanks. Have a wonderful day and your blogs have been a fantastic read for me.